Vietnam’s exports to Brazil had a higher growth rate than other Asian countries in the first four months of the year, reports Thoi bao kinh te Viet Nam (Vietnam Economic Times). 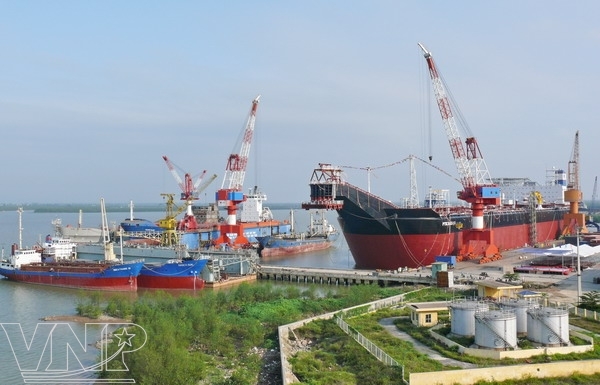 Total bilateral trade during that time reaches 654.6 million USD of which Vietnam’s exports were 349.5 million USD, an increase of 48.5 percent year-on-year, according to Brazil’s Ministry of Development, Industry and Foreign Trade. Vietnam’s exports to Brazil also saw a growth rate higher than the average growth rate of exports to the US (12 percent). Total bilateral trade between Vietnam and Brazil ranks second, only after the US. According to Vietnam’s Commercial Affairs Division in Brazil, there are still many opportunities for Vietnamese goods to penetrate this market. Currently, the market share of Vietnamese exports accounts for only 0.3 percent of import demand in Brazil. Last year, Brazil’s total imported goods exceeded 225 billion USD, of which Vietnamese exports worth 710 million USD. At many distribution centres and supermarkets, the presence of made-in-Vietnam goods is visible. However, many Brazilian enterprises have yet to realise the production potential of Vietnamese companies. Brazil is a huge market, with nearly 200 million people. It is the sixth largest economy in the world, and its industrial sector is the most developed in South America. Thanks to its economic growth and high loving standards, demand for imported goods has increased. In the first four months of 2013, Brazils saw a trade deficit of 1 billion USD, while in previous years, the country had a trade surplus. Brazilian consumers are fond of imported goods, so there are favourable conditions for Vietnamese goods to access the market. On the other hand, market research specialists said that language was a barrier in strengthening trade relations between the two countries, as few people on either side spoke Vietnamese or Portuguese, the main language of Brazil. In addition, Brazil’s import procedures take along time and signed contracts must be notarised in Brazil, which hinders Vietnamese enterprises. Geographical distance as well as cultural and time-zone difference are also obstacles. To overcome these challenges, Brazil opened a consulate earlier this year in HCM City to support businesses look for partners and seek mutual understanding about each other’s markets. Currently, Vietnam exports seafood, footwear, electronic parts, textiles and garments to Brazil. Brazil also has great demand for cosmetics and medicine, two areas in which Vietnam could increase exports. It is also seeking foreign investment in sectors such as seaports, shipbuilding, oil and gas, and bio-fuels. Total bilateral trade between Brazil and Vietnam is expected to surpass 2 billion US this year.